Did somebody say Chobani Yogurt? So I’m on Twitter the other day and a few of my running friends (who am I kidding, all of my friends on Twitter are Runners or Triathletes) were talking about how good Chobani is. Being that most of these people are female athletes I tend to ignore strange references because otherwise I accidentally enter a give-away to win a Lululemon yoga outfit or something. 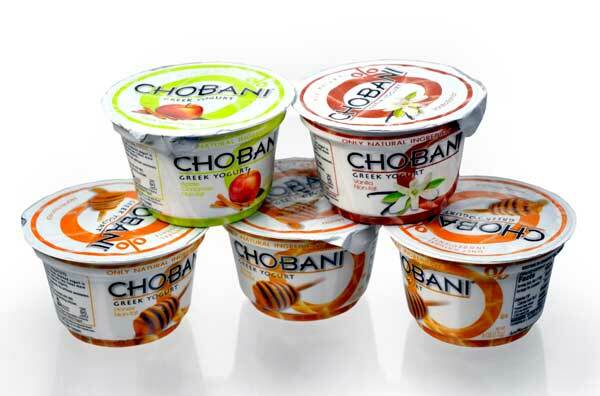 Today, I decided to ask, “What is this Chobani all of you are talking so highly of?” Shortly after Chobani’s twitter handle mentioned me, explaining that they make exceptional greek yogurt. I love greek yogurt. It’s like man-yogurt. A few moments after that my friend Lindsay, who works for Chobani, saw my tweet that I had never tried Chobani before. She said she had to change that. Chobani is amazing. It has the bite of greek yogurt mixed perfectly with whatever flavor you have chosen. The 2 I have tried so far are Honey and Vanilla, both exceptional.